There will be times when you are out on the golf course and rain starts coming down and you have to make a decision as to whether you stay on the course and finish your game or go for cover. Your decision will likely hinge on what kind of gear you have available, and with the best golf rain gear, you can keep playing no matter what. We’ll show you what some of the best options are on the market today, as well as guide you on how to find suitable rain gear for your needs. You’ve read our guide on how to pick the best golf rain gear. Now, look over our top choices for rain gear and see if one of these is a good fit for you. Let’s start with an affordable option that offers some decent value. It’s made from 100% polyester and is completely waterproof. It also comes with a hood and is designed to be lightweight and easy to pack up. The mesh inner lining ensures it is breathable, and the interior wicks away sweat to keep you comfortable. 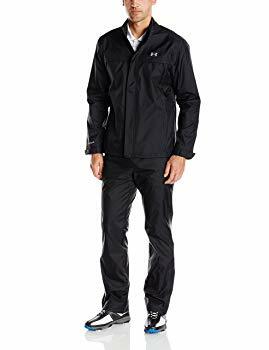 The suit is quite durable, even in rough weather conditions and when used for other outdoor activities than just playing golf. The only problem is the suit runs a bit big, and you may need to roll it up or otherwise accommodate its large than normal size. Great price for the included features. Runs a bit on the large side. 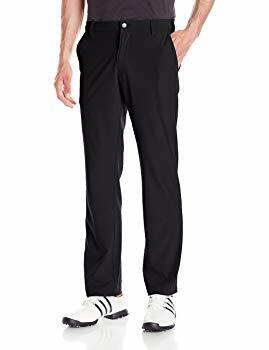 This likewise has a mesh lining to improve breathability and create a lightweight feel that makes it a comfortable suit to wear for hours at a time. This is the entire suit, but there is no included hat or hood. You’ll have to get that separately. The price can be a bit high for some people, but you do get high quality material that is well constructed and designed to tolerate a lot of wear. You’re going to get your money’s worth out of it, but it is one of the more expensive options. The sleeves are a bit short for the average person, so pay attention to what reviews say about sizing specifics before you get this one. Very strong and a long lifespan. Here is one from the cheap end of the spectrum. It’s a very lightweight and not terribly durable suit, but it comes with everything you need, and it feels very comfortable for however long it will last. As one of the cheapest options, even if it gives out on you after a few months, you will probably feel like you got your money’s worth. If you care about style along with protection from the water, and you have the budget for it, then you should consider this suit from Nike. It’s lightweight, completely waterproof and even designed to protect you from high winds. This is a form fitting design that doesn’t blow all over the place, but you may feel your mobility is a bit limited. The price is higher than most other options as well, but you’re getting a very high quality suit that should hold up very well for you. Quality design through and through. Protects against weather of all kinds. Our last selection is a reasonably affordable suit that straddles the middle ground between the higher priced and lower priced options on this list. It’s waterproof and resists wind, giving you a comfortable and protective covering that is designed to feel very light on your body. It is also designed to be easy to store, and it comes with its own pouch for easy carrying. The middle-of-the-road price point gives you some extra features, like zippers, a stretchable waistband and expandable cuffs. Can fit a bit small. Having suitable golf rain gear can make an impact on your game. Imagine trying to play when your hands are slipping on the clubs or your feet are slipping in the grass. It would be tough to pull off anything but the most basic of shots. If you are soaked to the bone, you are not likely to play very well either. You may start to get cold and shiver, or you may just feel unpleasantly wet and not want to keep playing. Rain seriously affects your game, as the water and high winds can throw off your shots, but you don’t have to let it affect your body and the way you swing the club or focus on the game. 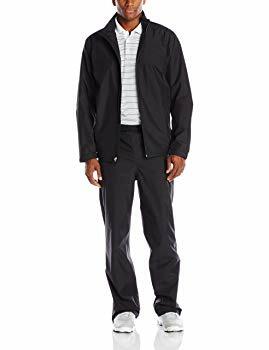 The clothes you wear make a difference in how well you can handle the rain, so it is worth it to pick high quality clothes that offer ample protection against the rain. You’ll play better, stay more focused and be able to enjoy the game more if you get the right rain gear. How Many Pieces- You’ll have to decide whether you want a one-piece rain suit or a two-piece set. Top Travel Tips says people prefer the one piece for its greater coverage and the two piece for its improved mobility. You will have to decide which one works best for you and the way you play golf. Get a Grip- You’re not just buying a rain coat to keep yourself dry, if you plan to play well on the rain. Golf Monthly recommends you get spiked shoes to help you keep a grip in the wet grass, and you’ll probably want some gloves to get a better grip on your clubs. 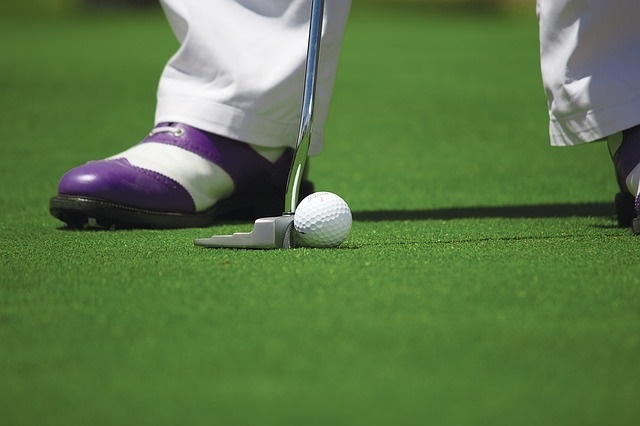 You should also bring along a towel to dry off your club grips before each shot to prevent slippage. High Quality– You want gear that can hold up to not just the water but also the high winds that often accompany a heavy rain shower. It needs to be tough enough to not tear when wind sweeps by and it should be able to stay fastened to you at all times. Spares– It’s not a bad idea to have some spare rain gear in case one set becomes soaked or damaged. It’s tough to play if you are soaked to the bone, so if your gear is not working out for you, then it may be wise to switch out to something else that protects you a bit differently. That means that you will have to buy gear that is inexpensive enough that you can afford to buy a couple sets of rain apparel. It can be worth it to skip on the Gore-Tex just to have two less expensive options that you can switch back and forth from. How much you spend on your gear and how many rain outfits you need will all depend on how you plan to approach rain play and if you want to keep playing when the weather gets really bad. Paying Too Much- How often will you be playing in the rain? If you expect to only play during occasional showers and not to be the kind of person who plays on no matter what, then you should go with less expensive options. 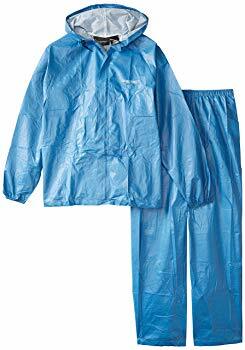 It doesn’t make sense to pay a lot for rain gear that you won’t use that often. Buying Water Resistant- Some rain gear is marked as water resistant, and Golf Info Guide warns against treating it like it is waterproof. It will resist water for a while, but eventually the water will get in, making you and your underclothes wet. You can play in water resistant gear, but don’t expect it to keep you dry for long periods of time out in the rain. Choose the most suitable clothing based on how long you expect to be playing and what kind of weather you want to tolerate while you play. 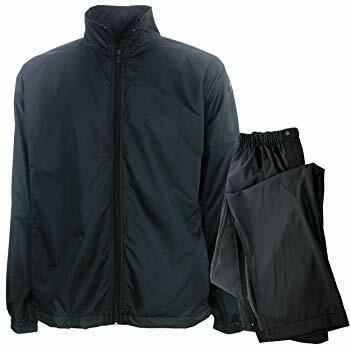 Buying Tight Clothes– You want to be able to move around and play freely in the rain gear you have chosen. 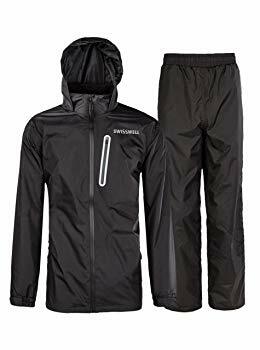 A lot of rain gear is form fitting or simply not loose enough to be comfortable or allow for a full range of motion, so try it on for yourself or read some customer reviews to get a sense of how restrictive the clothing is before you buy. Inadequate Coverage– You need to be covered everywhere to stay dry in the rain. You may even want to take an umbrella, gloves and boots for play in seriously inclement weather. Make sure the golf gear you wear is long enough to cover you from head to toe to keep your body dry and your game pleasant. It’s too easy to assume that they rain gear you purchase will be coverage enough, but you need to take the time to check. The kind of gear you choose can have an impact on your game, and we want to help you pick the very best gear. 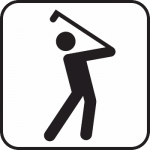 We hope this guide assists you in making an informed decision, and if it does help you, then why not check out some of our other guides on other golfing equipment you may need?